It’s early 2019, so it’s time to check all the good stuff in 2018! The Wine Enthusiast Magazine was committed to try different wines to select the Top 100 of the year! In 2018, Portuguese wine stood out in the magazine’s publication. 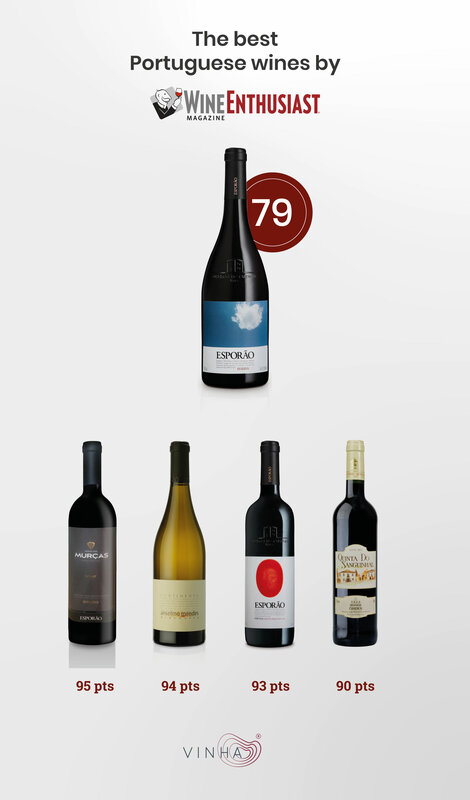 Several Portuguese wines were distinguished, among which we highlight the quality of 5 singular wines, as scored by Wine Enthusiast: two wines from Alentejo, one Vinho Verde, one wine from Óbidos and one from Douro. A toast to the great Portuguese wines! Note: The harvests of the distinguished wines marketed in Vinha are subject to the existing stock.